Last updated by admin at February 17, 2016 . 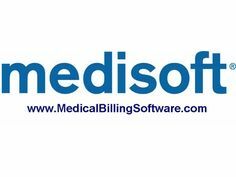 Getting Paid Has Never Been Easier With Medisoft and BillFlash Patient Electronic Statements. Watch the video below to see how Electronic Patient Statements can help your office be more efficient and save time, and STILL get the statements our each month! Approved bills are sent same day. mail over to paperless eBills. responding to requests for a “lost bill”. Approved bills are mailed next business day. payment you accept and can invite payments to be made online at MyProviderLink.com. see their actual bill. You’ll save time & money answering billing questions. Curious about what a Medical Claim is or looks like? Medical claims are a printed or electronic document that contains information from a Medical provider, about a patient, regarding the visit or treatment. The doctors office usually completes the insurance claim form for the patients and prints and mails it or sends it electronically to the insurance company. Some medical offices do not submit this form, but instead print a basic “receipt” that has the doctors name and office address; and a list of CPT procedure codes they are billing for, and the associated Diagnosis codes assigned to the patient and the patient must file this with thier insurance company. It takes an entire office staff working together to make sure a patient receives quality and timely care. The blueprint of care is developed long before a patient steps foot into a practice. It is important to have policies in place for efficient office management. Even if you think you have a flawless plan, it always helps to compare your policies with other offices. There are always steps you can take to be better. You will want to make sure all of the policies in place will result in swift and excellent service. Here are the essential policies for one medical practice in Ohio. They make sure the lines of communication are always open and policies are carried out in an efficient manner. This office has five doctors and sees hundreds of patients per day. The office staff encourages patients to go on to the practice website and fill out all paperwork ahead of time. The office also gives new patients 15 minutes to fill out forms in the office. When a patient comes in for an appointment, a staff member prints out a demographic form and has the patient review the form. If there are any changes, the patient puts it on the form, initials and dates it. A patient does not have to fill out a brand new form unless there are a lot of changes. This saves a lot of time. When printing out demographic forms for the next day, the staff includes any other forms or papers that need to be given to the patient. For example a physical acknowledgement form, or any forms needed for Medicare Wellness visits, etc. At every visit the staff always verifies insurance, pharmacy of choice, phone numbers and address. New patients are asked to bring their prescription bottles in a bag instead of writing the prescription names down on a piece of paper. This makes it easier for both the office staff and physician. This particular primary care office uses an automated appointment reminder system. They also call new patients to confirm appointments two days ahead of the scheduled appointment date. The office staff prints the next two days of schedules just in case computers go down. A balance due report is also printed and the front desk addresses balance due at check-in. A staff member will take a patient’s insurance card and scan it every single visit. If a patient doesn’t have their insurance card, the office makes the patient self-pay. Payment is collected at the time of service. Once the insurance card is collected, the office will file a claim. When payment is received from the insurance company a patient refund check will be issued. It’s important to have a plan in place and that everyone in the office is on the same page. Even if you think you have a flawless plan, it’s important to take note what other medical practices are doing. This can help your practice become even more efficient. What are some of the steps your practice takes to make the patient process run more smoothly? Did you know you can prevent a call to medisoft support by following these simple instructions? Here is how to “Customize” certain Medisoft screens when you are looking at tables of data such as the Transaction Entry Screen? Look for the black DOT in upper left corner of a table, click on it, and add or subtract fields of information you want or don’t use. I like customizing the main Transaction Entry screen to include, these additional fields: Guarantor Amount Paid; Adjustment: Claim Number; Ins 1 Paid; Ins 2 Paid; Ins 3 paid; Remainder; and sometimes whether the copay amount or copay amount paid. With todays wide screens, you can get alot of useful data on the screen so that you don’t have to go hunting for it. abbreviate the text or reduce the column width, but again, if your text is wider than the column width, Medisoft ALWAYS show all the text, even though the column width might be smaller than the text. The only reports you can customize using the Medisoft program are the reports available through the Custom Report List. These reports can be modified using the Custom Report Designer available by clicking the Reports menu and Design Custom Reports and Bills. This module will focus on CMS-1500(HCFA) form alignment. Other modification instructions are available on our Knowledge Base. Claim Header Band: Includes all information from the top of the CMS form down to box 21 and 23. Claim Footer Band: Includes everything below the last line of box 24. Determine if the whole form is out of alignment (up, down, right, or left). If so, go to Reports, then Design Custom Reports and Bills and open the insurance form. Click on File, Report Properties on the Report Designer’s menu. Go to the General tab and the Form offset field. Increasing the left offset will move the entire form to the right. Decreasing the left offset will move the entire form to the left. Increasing the top offset will move the whole form down. Decreasing the top offset will move the whole form up. Once the form offset setting is correct, alignment may be improved (if necessary) by increasing or decreasing the size of the bands. Each band contains a different set of information. The Claim Header band contains all the information from the insurance company area at the top of the form through box 23. The Transaction Header band is not used and should not be modified. The Transaction Detail band contains all 6 lines of box 24. The Claim Footer band contains the rest of the form located below box 24. Band height can be modified by clicking the Bands tab of the Report Properties screen. The prime directive of changing band height is DO NOT change the height of the Transaction Detail Band. Increasing the height of the Claim Header Band moves all other bands down the page. Decreasing the Claim Header Band moves all the other bands up. On the standard CMS-1500(HCFA) format, the Transaction Header Band is not used. Increasing the Claim Footer Band moves the Claim Footer Band up. Decreasing the height of the Claim Footer Band moves the Claim Footer Band down. This is because the size of the Claim Footer Band is measured from the bottom of the page, rather than from the top of the page like the previous three bands. Be careful when changing the height of any band so that you don’t cover up any of the data fields. The key to this process is trial and error. If you change the size of a band and its fields move too high, try decreasing the size of the band or increasing the size by a smaller number. When aligning a form to your printer, plan on using quite a number of forms. It is also effective to print on plain paper and put your form on top for viewing, but this method is not as accurate. If there are still fields out of alignment, the next step is to individually move the misaligned fields. Select the field that is out of alignment by clicking on the field once with your mouse. Next, place the mouse pointer on the selected field, then click and hold the mouse button down, dragging (moving) the mouse to the right or left, up or down. For finer movement, select the field that is out of alignment by clicking the field once, then use the arrow keys on the keyboard to move it right, left, up, or down. Each press of an arrow key moves the selected field 1/72 of an inch. Again, the key to this process is trial and error. Continue to change the settings and reprint the form until the alignment is satisfactory. You do not have to leave the Report Designer to print or display a sample claim. Just make sure that you have a printable claim in Claim Management. Click on Activities and Claim Management on the NDCMedisoft menu in order to display the Claim Management window. Another reason for running reports is to troubleshoot the amounts that are being billed on Remainder Statements and the amounts shown on Insurance Aging reports. The report most often used for this process is the Billing and Payment Status report. When troubleshooting remainder balances, it is imperative that you look at individual charges. Each charge with a balance is represented by a line item on the Billing/Payment Status Report. The columns you want to focus on when troubleshooting remainder balances are the Policy 1, Policy 2, Policy 3, and Balance columns. In order for a charge to appear on a remainder statement, each of the Policy columns MUST have an asterisk (*) next to an amount. That amount may be zero. The asterisk indicates that a payment has been entered for that carrier and that payment has been marked complete. It can also mean that the specified carrier is not responsible for that charge. If any of these columns do not have an asterisk that charge balance will not be included in the remainder balance and on remainder statements. If you expect a particular charge to appear on a remainder statement, and it doesn’t have an asterisk, you must either mark the existing payment complete, or enter a new payment for that carrier and mark it complete. The only exception to this rule is when the Accept Assignment field in the patient case screen is not checked. See the Accept Assignment Handout for more information. The other critical field is the Balance column. If there is not a balance on the charge, it will not be included on a remainder statement. When troubleshooting aging reports, you will need to have the same focus on individual charges that you had when troubleshooting remainder balances. Additionally, you will want to look at the same columns: Policy 1, Policy 2, Policy 3, and Balance. Additionally, you may need to look at the Guarantor column. A charge will not appear on an insurance aging report if one of two conditions exists. The insurance carrier in question has not been billed for the charge in question. If this is the case, the Billing and Payment Status report will display the value Not Billed in the correlating Policy column. If the charge has been billed to the insurance carrier, a date will appear signifying when the charge was billed on a claim. Additionally, it is important to note that insurance aging will ALWAYS be based on the date the claim was sent, NOT the date of service. If the insurance carrier has already paid for or is not responsible for a charge, it will not appear on the insurance aging report. Either of these conditions will be shown by an asterisk in the corresponding Policy column. It is possible to age a patient remainder balance by either Date of Service (Transaction Date From), or by Date of First Statement. If you are aging by the Date of First Statement, the aging process will not begin until the patient is sent a statement. Therefore, a charge showing Not Billed in the Guarantor column would not appear on the Patient Remainder Aging report. Medical offices generally run a series of reports each day that are used to ensure that the accounts are balancing, and that no fraud or theft is occurring. This section will examine the reporting process that should be used daily in order to ensure balance within the practice accounts. The report most often used in balancing is the Patient Day Sheet. You can also use the Procedure Day Sheet. These two reports will display a list of all charges, payments, adjustments, and comments that were performed OR entered (not both) on a particular day. The Payment Day Sheet can be used to track payments, but in general would not be used in the daily balancing routine. When running balancing routines, it is imperative that you utilize the Date Created field when running your reports. This will guarantee that all transactions will be included on the report. The Date From field is also held within each transaction entered into Medisoft. For charges, this field signifies the date of service. For payments, this field signifies the date of payment. For adjustments and comments, it is the date the adjustment or comment was made. We do not recommend using this field when running balancing routines. This is because data entry for one particular date of service is not necessarily completed on that date. Click the Reports menu, Day Sheets, and Patient Day Sheet. Medisoft Reports has variations of many of the most frequently used reports. For the Day Sheet reports there is another version called Patient Day Sheet (with Practice Totals). Practice Totals can be helpful to compare yesterday’s day sheet to today’s day sheet to ensure accuracy and that charges and payments weren’t deleted fraudulently. To open Medisoft Reports, click on the Reports Menu and Select Medisoft Reports. The Medisoft Reports screen will appear. Day Sheets are found in the Medisoft Reports folder. There is the Patient Day Sheet both with and without the Practice Totals. Select the report with Practice Totals. Note: Depending on the size of the practice this report could take a long time. You will be asked where you would like to output the report. For balancing purposes, you should actually print a copy of the report, or export it to a file. This will allow you to go back and view the report as it appeared on any particular date. As previously stated, when running reports for balancing purposes, it is critical that you utilize the Date Created range. Additionally, it is important to note that you cannot utilize both date ranges when running this report. The report will not function properly if this is done. Enter your date range and click OK.
To maximize efficiency, you can easily fill out this entire screen without the use of the mouse. When the screen appears the Tab and Shift+Tab will help you move up and down the screen. When highlighting a Show all values section pressing the spacebar will remove the check and move your mouse to the date fields. From the date fields you can use the directional arrows to populate the fields. Clicking the right arrow will populate today’s date, the up arrow will populate the date as one month forward from today’s date, and the down arrow will populate the date as one month back from today’s date. The report will then display. Skip to the last page of the report. You are going to see the following screen with different totals. The top section of the screen will include information specific to the range of dates (and any other ranges you have entered). The report ends showing the net effect of all of the day’s charges, payments and adjustments on your accounts receivable. $1274.00 + $310.00. The result of this calculation should equal the current Accounts Receivable. In this example, that is $1644.00. If these numbers do not match up, it indicates that transaction amounts have been edited or that transactions have been deleted. You should be able to track who made these changes or deletions using the audit report. Additionally, there are 2 other reports you can use to verify the amounts on the Patient Aging report. These reports are the Practice Analysis report and the Patient Aging report. After going through the entire process outlined in these blog posts, it is important that you are able to run reports that will let you know how your office is doing financially. With the addition of Focus Reports (Renamed Medisoft Reports) back in v15, Medisoft Advanced and Network Pro now come standard with 228 reports, and most of the standard reports have been moved over from the Crystal Reports engine to the Focus Reports engine. You also have the option of adding Medisoft Reports Professional which comes with 368 reports and allows you to create your own custom reports or customize any of the existing reports. This blog post and the others relating to Reporting, will discuss some of the daily reporting processes used in an office. Additionally, we will include information on modifying custom reports for reasons such as CMS alignment. Medisoft offers the ability to print a cover page with each report. Cover pages will let you know which filters were used when printing a report. This can be a useful troubleshooting tool when faced with report discrepancies. To activate this feature, you will need to open the Program Options screen, and place a check mark in the field labeled Print Report Title Page in the General tab. When printing a report from the Reports Menu, you have the ability to export to a file, with an extensive list of formats to export in such as Excel, Word, PDF, etc. When printing reports from certain screens like within Deposit List Report, Claims Management, Statement Management, Patient Ledger, Collections List, etc. these reports can only be exported in two formats. They are Quick Reports and Text Files. Files saved in the Quick Reports format will have a .QRP extension. These files can only be opened by clicking the Reports menu and Load Saved Reports. To create a Quick Report format, you must first preview the report on the screen. Once the report is displayed, click the disk button at the top of the screen. You will be asked to specify the directory and name of the QRP file you wish to create. Make your selections, and click Save. You will now have a copy of that report that can be opened through the Load Saved Reports option. This copy of the report will be an exact replica of the report, including all formatting. Files saved in the Text File format will have a .TXT extension. These files can be opened using any interface that can read a text file, such as Microsoft Word, Notepad, WordPad, etc. Through Medisoft, you can open the file by clicking the Tools menu and View File. To create a Text File you must select the option to Export the report to a file. When you click Start you will be asked to specify the directory and name of the TXT file you wish to create. Make your selections and click Save. You will now have a copy of that report that can be opened through the means discussed above. You may find that some of the formatting changes when using Text files. Any images or shapes will be ignored when the file is created. Over the course of time, a practice will send out thousands of statements. Eventually, these statements are paid, and marked as done. Many or most of these statements will not be needed at any point in the future. Because of this, it is sometimes tempting to delete statements in order to clean up the Statement Management screen. This is NOT a recommended way of cleaning up the screen. The recommended method for cleaning up your screen is to use the List Only button at the top of the Statement Management screen. Clicking this button will bring up the following screen. Here you will be able to filter the view to include only statements that match the criteria you specify. We will not discuss the details of each field. We will focus on the Exclude Done field. Placing a check mark in this field will cause Statement Management to automatically hide any statements that have the status of Done. If you are looking at specific transactions, and those transactions are listed as being on a specific statement, you may not be able to find that statement in Statement Management. If this is the case, you will usually find that the statement is marked as done, and the Exclude Done box is checked.